Beverly Hills Oral and Maxillofacial Surgery is a leading provider of Oral and Maxillofacial Surgery and dental implants in the region and beyond. Dr. Gabbaypour is known for his technically superior care with an emphasis on exclusivity, comfort, and autonomy that has set the standard in his field. Dr. Gabbaypour has spent upwards of a decade pursuing medical and dental education in prestigious dental, medical and surgical training for the treatment of congenital and acquired craniofacial abnormalities, reconstruction of cancer and trauma deformities reconstruction of the jaws and oral cavity with a dental implant. At Beverly Hills Oral Surgery, you’ll find a team passionate about Oral and Maxillofacial surgery. Our staff was chosen for their dedication to patient services and clinical excellence. We invest in the training and state-of-the-art technology that makes modern Oral and Maxillofacial surgery efficient, effective, and absolutely beautiful – because you deserve the best. Dr. Gabbaypour’s approach to dentistry and medicine is to integrate science, esthetics, function, and treatment for the whole patient. His recommended treatment plans are always comprehensive with consideration for the best and most beneficial options to the well-fare of his patients. He is committed to offering the most conservative procedures that will achieve her patients’ ultimate goals Dr. Gabbaypour will talk with you about your expectations and goals, as well as your unique concerns regarding our surgical services and your oral health. You can expect a comprehensive oral exam, including an oral cancer screening, periodontal analysis, and occlusion assessment. With his findings, Dr. Gabbaypour can develop a custom treatment plan to optimize your oral health and meet your goals.We are a team of well-trained professionals dedicated to delivering the highest quality of care in a warm and friendly environment. By establishing trusting and respectful relationships, we enthusiastically educate our patients for a lifetime of health. Dr. Gabbaypour also specializes in the care and management of patients who are going to or have undergone surgical resection, radiation and or chemotherapy for head and neck cancer. Dr.Gabbaypour began his undergraduate training at University of California Los Angeles. He earned his Doctorate of Dental Surgery, DDS, from the University of California in Los Angeles, and graduated with High Honors. Among his honors, Dr. Gabbaypour was nominated to the Omicron Kappa Upsilon Honorary Dental Society in 1996. Dr. Gabbaypour continued his training at the University of California Los Angeles School of Medicine and the prestigious UCLA program in Oral & Maxillofacial Surgery. After earning his Medical Degree, MD, he then completed a one-year Internship in General Surgery.He received his specialty certificate from the prestigious UCLA Oral & maxillofacial surgery program and he has been in private practice in his Beverly Hills office since. Dr. Gabbaypour is a member of the American Dental Association, CDA, The California Dental Association, American Association of Oral and Maxillofacial Surgeons, California Association of Oral and Maxillofacial Surgeons. He is An attending surgeon and has clinical privileges at UCLA Medical center and Cedar Sinai Medical Center. We are proud that he is one of the only few dual-degree, Oral & Maxillofacial Surgeons in the State of California. He has a special interest in the treatment of congenital and acquired craniofacial deformities of children, the treatment of craniofacial trauma, skull base access surgery, Bone grafting treatment of cyst and tumors of the face and jaws, diagnosis and treatment of sleep apnea and dental implants. 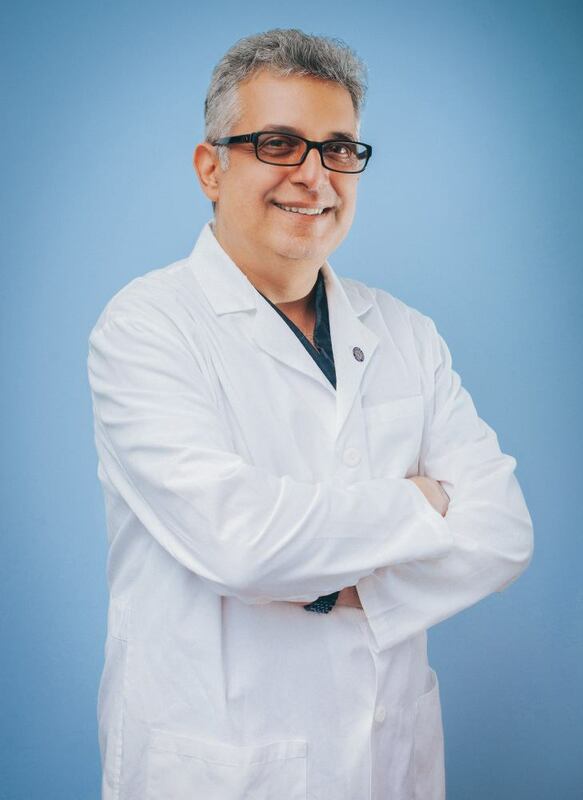 Dr. Gabbaypour, your Beverly Hills Oral Surgeon proudly offers his expertise in Wisdom Teeth, TMJ, Snoring & Sleep Apnea, Orthognathic Surgery, Oral Pathology, Reconstruction of the face and the jaws with Bone Grafting, Dental Implants, and Facial Trauma. Beverly Hills Oral Surgery proudly serves the Southern California communities of Beverly Hills, Los Angeles, West Los Angeles, Century City, West Hollywood, West Wood, Hollywood Echo Park, Downtown Los Angeles, Hancock Park and surrounding areas.